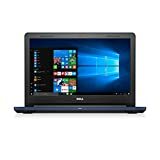 DELL Vostro 3568 A553111UIN9 15.6-inch laptop with 6th Gen Core i3-6006U/4GB/1TB/Linux/Integrated graphics. 1. Processor - 6th Generation Intel core i3- 6006U processor (3M cache, up to 2.30GHz). 2. OS - Windows 10. 3. RAM - 4GB single channel DDR4 2400MHz (4GBx1). 5. In-built graphics card - Intel HD graphics 520. 6. 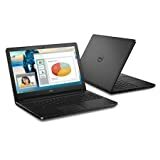 Dispaly - 15.6-inch HD (1366x768) anti-glare LED-backlit display. 7. Hard Drive - 1TB 5400RPM SATA hard drive. 8. DVD reader/writer - Built-in 9.5 mm SATA tray load 8X DVD+/-RW. 9. Chipset - TPM 2.0 (Optional software or hardware). This laptop is light weight with a large display. Don't let the 15.6 inch screen fool you into thinking this is a heavy and bulky laptop.